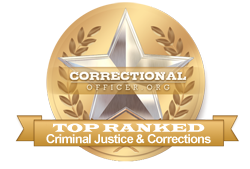 The Department of Corrections is one of West Virginia's largest employers - with current staffing of approximately 3,351 male and female correctional officers throughout the state, officers commit to performing their duties with a professionalism and ethics at all times. West Virginia's 6,824 offenders are contained in the state's 6 federal penitentiaries like Federal Prison Camp, Alderson and Federal Correctional Institution, McDowell, or in one of the state's numerous prisons like Parkersburg Correctional Center or the Saint Marys Correctional Center. Offenders awaiting incarceration may be held in a county jail. According to national economic forecasts, job growth in the industry is stable at 5%, meaning that by 2022 there will be approximately 3,728 jobs in the field, not including vacancies due to retiring or advancing officers. To learn more about this challenging career choice, read below for more information. With 1,850 students, Glenville State College is located in Glenville, West Virginia. Founded in 1872, Glenville State College has a strong history of providing academic excellence in the form of its 2- and 4-year degree programs. Students who are interested in pursuing a career as a correctional officer are encouraged to apply to Glenville's Department of Criminal Justice, who's programs can set a course for career excellence in the field of corrections. Potomac State College of West Virginia University ranks 2nd in our latest rankings with twenty-two students completing programs in criminal justice out of a total 414 students in the 2012-2013 school year. West Virginia State University ranks 3rd in our rankings with thirty-six students graduating from programs in criminal justice out of a total 822 students in the 2012-2013 school year. Mountwest Community and Technical College ranks 4th in our latest rankings with 32 students completing programs in criminal justice and criminal justice out of a total 740 graduates from the 2012-2013 school year. Fairmont State University ranks 5th in our rankings with seventy-one students graduating from programs in criminal justice out of a total a thousand students in the 2012-2013 school year. If all assessment scores are satisfactory, candidates will be invited for an interview, and to enroll in Correctional Officer Training. COT is designed to assist new officers acquire the skills that they will need to work in the corrections environment. Successfully passing the final training phase means that recruits will be will be awarded the status of correctional officer and be assigned a duty location. The state of West Virginia is committed to serve and support correctional facilities in the state by encouraging growth in the field. At this time, the median income for front-line correctional officers throughout the state is considerably lower at $29,200 than the median national income of $39,800, however professional development opportunities can remediate this gap. CareerInfoNet.org has published state and national trends at http://www.careerinfonet.org/occ_rep.asp?next=occ_rep&Level=&optstatus=011000000&jobfam=33&id=1&nodeid=2&soccode=333012&menuMode=&stfips=54&x=30&y=11 which predict that growth in West Virginia at par with national averages from now until 2022. This predicted rate of growth translates into positive job growth in the form of newly created openings and existing vacancies over the next decade. The table below lists career information obtained from the BLS for correctional officers in West Virginia. The table is sorted by total employment, with the largest metropolitan areas listed first.